Due to global warming and increasing price of fossil fuel, scientists all over the world have been trying to find reliable alternative fuels. One of the most potential candidates is renewable energy from biomass. The race for renewable energy from biomass has long begun and focused on to combat the deteriorating condition of the environment. Palm oil has been in the spotlight as an alternative of bioenergy sources to resolve fossil fuel problem due to its environment-friendly nature. 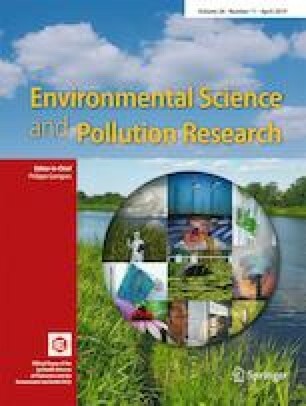 This review will look deep into the origins of palm oil and how it is processed, bioproducts from this biomass, and oil palm biomass-based power plant in Malaysia. Palm oil is usually processed from oil palm fruits and other parts of the oil palm plant are candidates for raw material of bioproduct generation. Oil palm biomass can be turned into three subcategories: bioproduct, biofuels, and biopower. Focusing on biofuel, the biodiesel from palm oil will be explored in detail and its implication in Malaysia as one of the biggest producers of oil palm in the world will also be emphasized comprehensively. The paper presents the detail of a schematic flow diagram of a palm oil mill process of transforming oil palm into crude palm oil and it wastes. This paper will also discuss the current oil palm biomass power plants in Malaysia. Palm oil has been proven itself as a potential alternative to reduce negative environmental impact of global warming. The authors graciously acknowledge the financial support provided by the AAIBE Chair of Renewable Grant No. 201801 KETTHA and Universiti Tenaga Nasional Internal Grant (UNIIG 2017) (J510050691) for supporting this research. The authors also wish to express their greatest appreciation to Direktorat Jenderal Penguatan Riset dan Pengembangan Kementerian Riset, Teknologi dan Pendidikan Tinggi Republik Indonesia and Politeknik Negeri Medan, Medan, Indonesia.